Villaggio Verde Sorrento is located on the Sorerento Peninsula in Italy, providing easy access to the Amalfi Coast, Capri, Pompeii and beyond. Situated in a typical Sorrentine garden of citrus trees and colourful plants, the Villaggio Verde Sorrento offers inviting rooms and bungalows complemented by a sparkling pool and Jacuzzi. This an affordable location in which to relax and unwind and has great access to Sorrento centre with all its attractions. Book into the pleasant Villaggio Verde Sorrento and escape from the normal routine to the beauty of this Italian coastline. 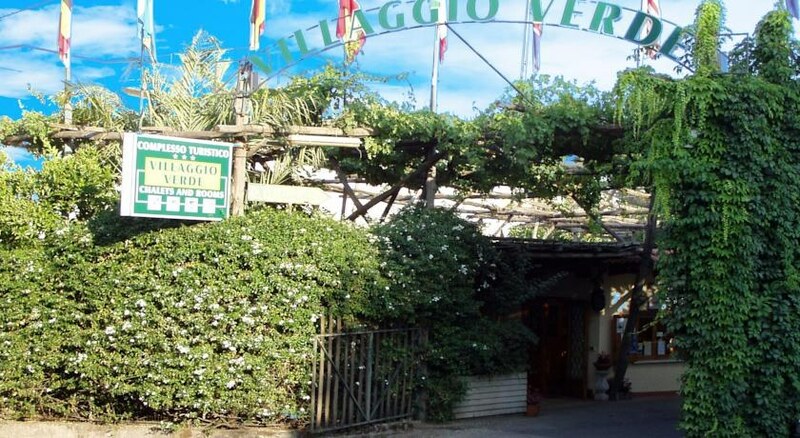 Local tips: The Villagio Verde is only 1 km from Sorrento centre with numerous restaurants, bars and shops. Travel access options include: Motorway A3 Naples-Salerno, exit of Castellammare; Bus of the Curreri company; Circumvesuviana Railway from the central station of Naples; Hydrofoils and ferries from Molo Beverello in Naples. Food, drink and entertainment: Buffet breakfast and a snack bar with pool service. Sport, games and activities: Swimming pool (available 1st May to 10th October), sun terrace with loungers & parasols and pretty gardens. Additional: 24 hour Front Desk services, housekeeping, air-conditioning, sightseeing and excursions information, token laundry facility and private parking available. WiFi is free at reception and pool areas. 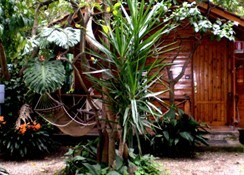 The chalet features a private veranda, air-conditioning (on request 5 Euros per day payable locally), en suite bathroom, satellite TV, fridge, kettle, safe, baby cots available, kitchenette and garden view. 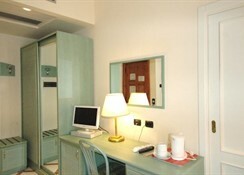 Water, electricity, weekly linen change/cleaning, parking and final cleaning are included. 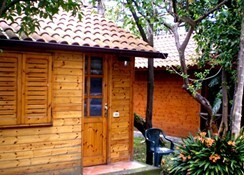 This is a great budget site with excellent facilities and in a beautiful setting. 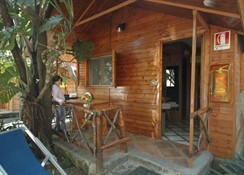 We had a log cabin which was clean, well presented and adequate for our stay. We found the staff to be really helpful and friendly bot on reception and at the poolside bar. The pool is lovely with a stunning view across the hills. The bar and restaurant are very good and reasonably priced. 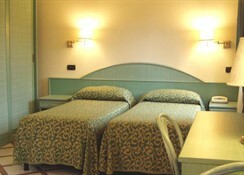 We really enjoyed our stay in Sorrento and particularly at the Villaggio Verde. If we come back to Sorrento we will definitely stay here again.